When did your Disney fandom begin? Do you remember the first time Disney made your heart sing? The instant when you first fell in love with the magic and became a Disney fan for life? D23’s When Did It Start For You? celebrates the fan in all of us by capturing those very special, deeply personal moments when Disney changed our lives forever. Although I visited Walt Disney World as a teenager, my When Did It Start For You? #wdis4u moment occurred when I captured a glimpse of my daughter’s expression when she first saw Cinderella Castle. That pixie-dusted spark happened again several years later when my son saw the castle for the first time too. Something in me just clicked about how magical Walt Disney World really is. That was 15 years ago and since then, I have all developed a profound love of all things Disney. I think having children has allowed me to appreciate all things Disney, whether a movie or theme park, in an unselfish way. I always made sure Disney first centered around their happiness and in doing so actually cultivated my happiness as well. It’s amazing to see the world of Disney through the eyes of a child. Disney brings out the child in all of us and allows us to be a kid again with no worries or judgement. Just lots of family fun! That’s why I love it. As I grow older I do get sad that my kids are not babies anymore.I cherish those wonderful memories of Gabrielle and AJ as young children at Disney. Wow! Gabrielle will be a high school senior in the fall and heading off to college soon. Life is so precious and moves so quickly. 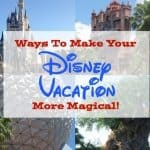 But, now we get to experience Walt Disney World in a different way – with no naps and less character greetings but rather more exploring and the other fun things to do at the resort. Even though we are all growing older, we all have our Peter Pan moments! When it comes to Disney, I don’t want to grow up and I have no plans to. When I am visiting the parks, I love that I can show my #DisneySide along with the thousands of other visitors without any judgement whatsoever. I can let loose, have fun and continue to make many magical memories. So, When Did It Start For You? I would love to hear all about. Leave me a comment below. You can also tweet your moment to D23 using the hashtag #wdis4u . 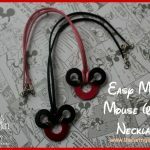 Oh yeah, I have a Pinterest board dedicated to all things Disney. Be sure to follow and check it out! « Pixie Dust, Magic and The Theory of Creativity at The Disney Social Media Moms Celebration! My family visited Disney every year from 4th grade through my second year of college, the magic never got old and I loved exploring new things and still meeting the occasional character. Now I get to take my son and that is really magical. As for me the love of Disney started in 1961 when we were being transferred to Hawaii (dad was in the Navy) and we stopped at my uncles house in Anaheim and then we went to Disneyland, I still remember E tickets those were the good rides and we always went home with some A tickets, I love Disneyland and even when I took my granddaughters 4 years ago, I still was in awe of what they can do..